Here we will provide you with the attention, care, and passion you deserve. We will provide options as unique as you are and will be invested in your long term success. With that said, Thank you for stopping in at Okanagan Denture. Please have a look around. 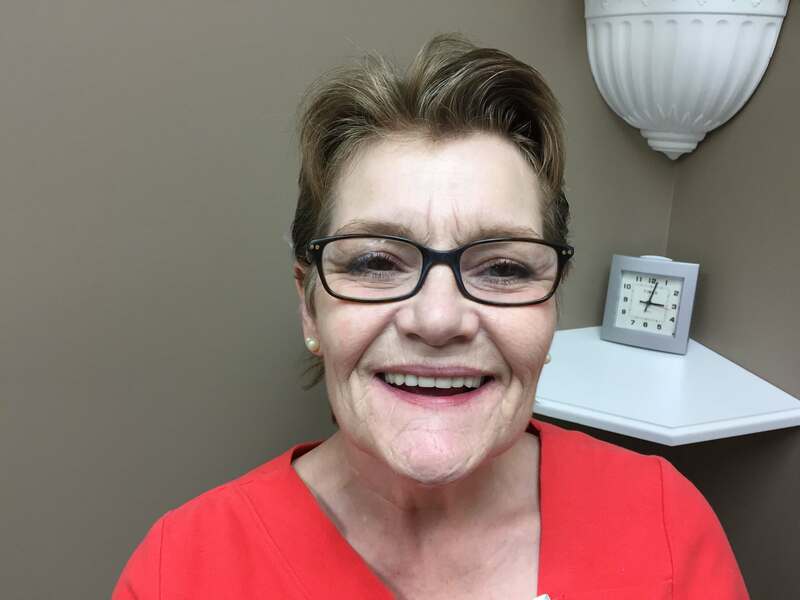 Here at Okanagan Denture Inc., Our Professional Team prides it’s self on offering a happy, comfortable, and informative office. 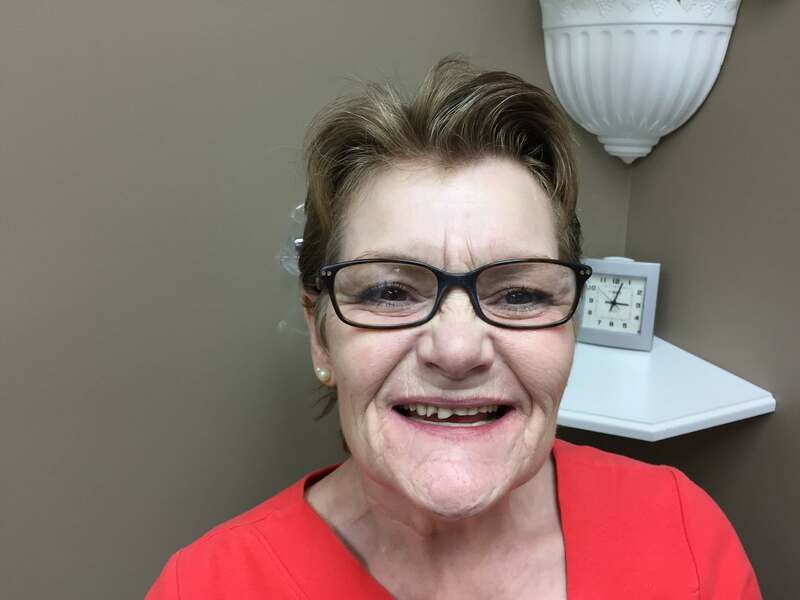 Our mission is to provide care and an enjoyable experience for all patients, as patient care is of the utmost importance to our denture clinic. Your oral health can affect the health of the rest of your body; a well-made, correctly fitting denture allows you to chew naturally and enjoy all types of nutritious foods, which is a necessary part of maintaining overall health. A poorly fitted denture, however, can cause painful sore spots inside the mouth and trauma to the oral tissues, as well as detract from your physical appearance and personal confidence. We offer a no charge, no obligation consultation to all new patients seeking to address their current dental and prosthesis needs. 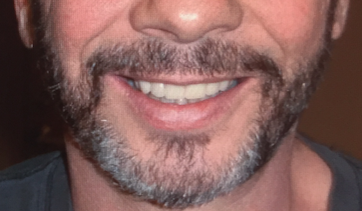 We will discover which Products And Services would be best for your unique situation, and can provide you with the names of a local dentists in the Kelowna area for those with natural dentition, as well as those interested in dental implants. 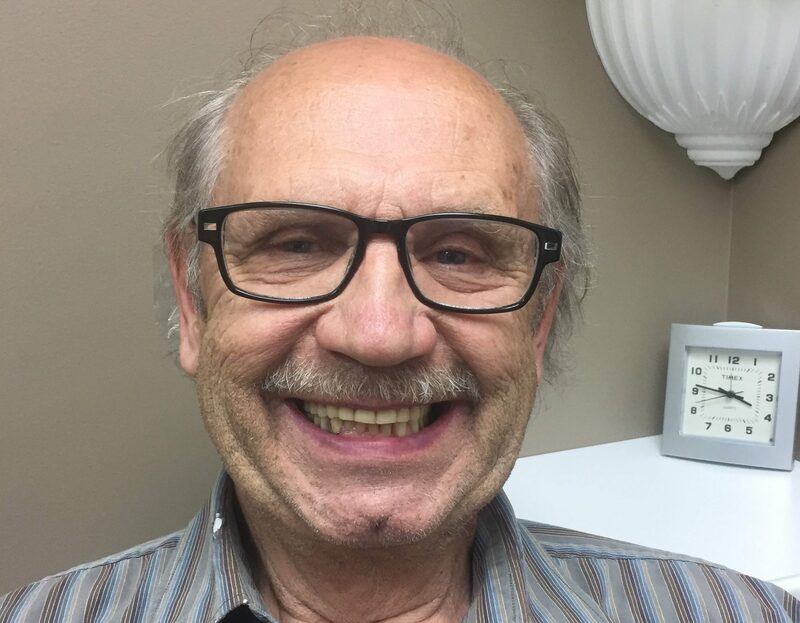 Locally owned and operated Okanagan Denture Inc. has served patients in Kelowna and surrounding areas of British Columbia for more than 40 years, offering a full range of denture services designed to restore your oral health and functionality. Enjoy a friendly and relaxed office and take advantage of our no charge consultation. 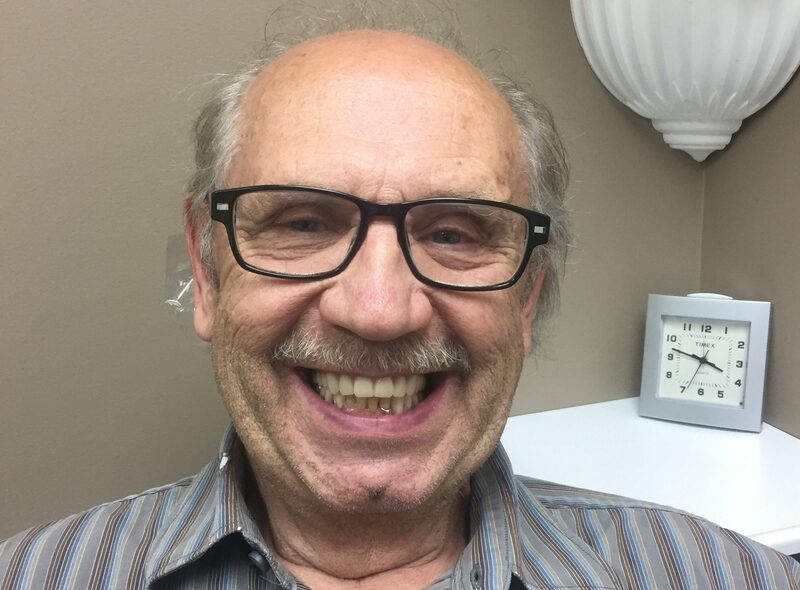 After years of periodontal disease, tissue degradation, root canals, and pain from infection, this gentleman decided to have his teeth extracted. An immediate upper denture was fabricated and placed in the patients mouth as soon as the teeth were gone. This treatment option is a good one for those who can't go without teeth for too long. Happy to see this option functioned as good as it looked once it was inserted. 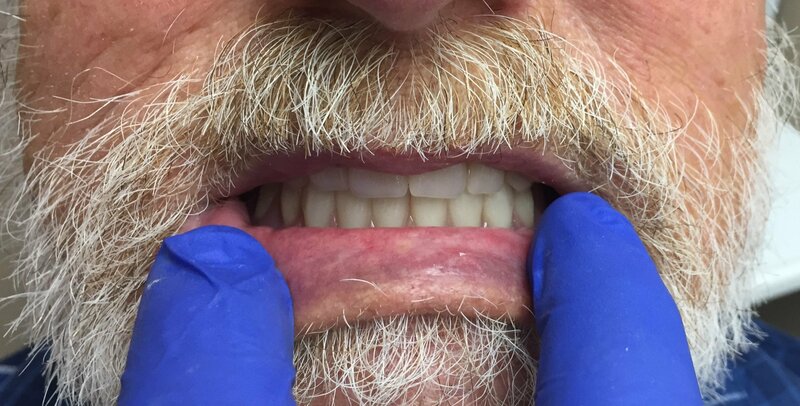 Rudy's Previous Complete Upper Denture and Partial Lower Denture showed signs of wear, and some partial components were becoming ineffective and unsupportive. Rudy began to loose his smile as the tissues resorbed, and the teeth wore down. But Rudy is smiling again!!! The Patient's Complete Upper Denture was extremely worn, old(over 10yrs), very loose, and the midline of the denture was 1/2 inch off. His lower partial denture had teeth added until it was a full denture. This extended period of time without refitting caused the bite to worsen over time and the vertical dimension to shrink beyond an appropriate level. 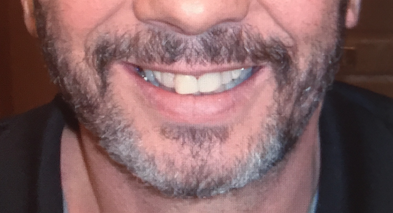 As you can see with the new denture set, the midlines match we have an even bite and restored our patient to a proper vertical dimension.